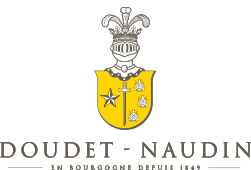 Doudet-Naudin opted to follow the traditional vinification methods: harvesting by hand and sorting, destemming, long vatting, manual cap-punching, pneumatic pressing. The objective is to respect the harvest and above all highlight the grape’s terroir of origin. Our wines are thus produced based on one key philosophy: respect for each appellation and each climat. This was how Burgundy was built, and this is how Doudet-Naudin is perpetuating the tradition. Each year, we seek to select new wine-growing partners that share our stringent requirements. We apply the same vinification methods for the Domaine and for wines from bought-in grapes. This allows us to obtain constant quality and uniformity from vintage to vintage, which is how Doudet-Naudin’s style and signature have been built up.